China will conduct a limited pilot project involving Internet lotteries later in 2016, one year after online lottery sales were halted in the country, media reports said over the weekend. Online lotteries will provide strong momentum for the sector, and the pilot project will expand the industry and offer players more convenience, experts noted. The authorities have shown support for the concept, and they have begun evaluating possible participants, Beijing-based Economic Observer newspaper said late Saturday. Domestic companies in the lottery industry must submit an application if they want to be involved in the online trial, the newspaper said, citing an industry insider. But there's been no application from either the China Welfare Lottery or the China Sports Lottery so far, the insider was quoted as saying. The Ministry of Finance and seven government bodies banned Internet lotteries in April 2015 and announced a nationwide crackdown on illegal lotteries, the Xinhua News Agency reported at the time. Meanwhile, the nation's lottery industry contracted last year, and the downturn persisted in the first quarter of 2016, the newspaper said. Lottery organizers including caipiao.taobao.com, lottery.sina.com.cn and 500.com have halted online lottery sales, according to the report. The online lottery business was banned after many instances of fraud and rising public concern about sellers' qualifications, a situation that called for appropriate regulations, Li Chengdong, an independent analyst in Beijing, told the Global Times on Sunday. Liu Dingding, a senior analyst at Beijing-based Internet consultancy Sootoo, agreed, saying that the Internet lottery business should involve large, well-known companies that do business according to the rules. "Large, well-qualified lottery firms will help avoid 'lottery gambling' to a large extent. It took longer than expected for online lottery activity to recover," Liu told the Global Times on Sunday. The sector will gradually recover but will not completely open up in the future because an online lottery is actually a type of Internet financing product, which has some risks, and the access threshold of the industry will be raised, Liu said. Earlier this month, the authorities stepped up efforts to crack down on some illegal lottery operations, according to the Economic Observer. The domestic online lottery business experienced a record rise in 2014 thanks to the World Cup in Brazil. 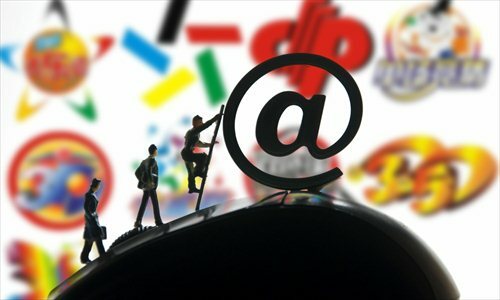 Sales of Internet lotteries approached 80 billion yuan ($12.35 billion) in 2014, accounting for 20 percent of China's total lottery sales, domestic news portal sohu.com said in March 2015. More than 100 million Chinese took part in online lotteries in 2014, the Economic Observer noted, citing an industry report. Experts noted that many global sports competitions are set for 2016, such as the UEFA Euro 2016 and the summer Olympic Games, which will further boost the growth of online lottery business this year. The nation's Internet lottery sector does face some challenges, but "technology isn't the issue as the business is not new to China," said Li. The main issue is what kind of regulations will exist and how a balance can be struck between regulations and the promotion of the sector, noted Liu. "China has a more conservative attitude toward the online lottery business than other countries and regions," Liu said. For example, customers can buy online lottery for any event in the UK and the threshold for entering the business is relatively lower, according to Liu.